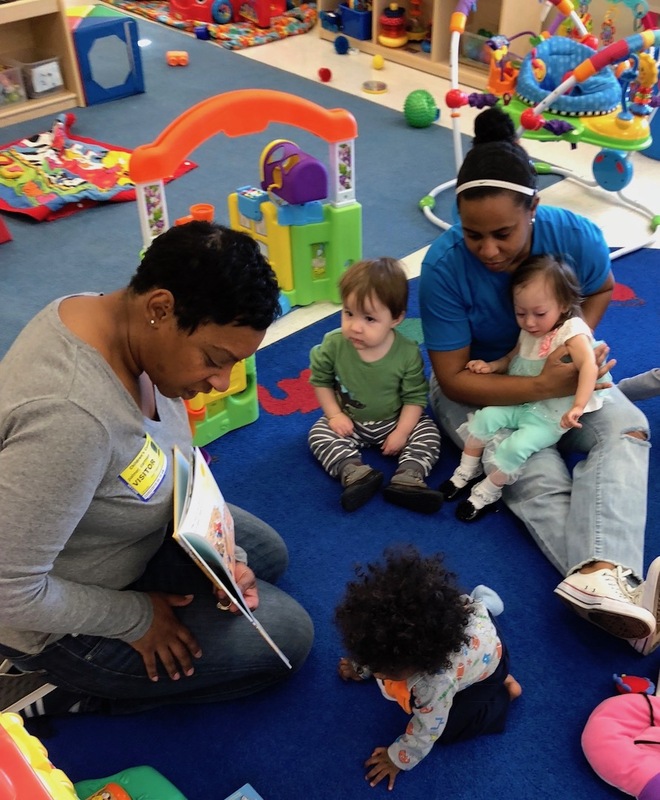 The Speech/Language Pathologists serving the Infant & Toddler Program work with children who are at risk for or have communication and language impairments. The services are developmentally supportive and promote the children’s participation in their classroom environments. Many children with developmental disabilities also have communication challenges. These may appear as the child having little interest in social interactions, not responding to his or her name, reduced babbling, not engaging in baby games, and/or limited gesturing or pointing. A variety of strategies and techniques are used to promote communication with all of our children with special needs. The use of spoken language is encouraged along with sign language, assistive technology (AT), and augmentative and alternative communication (ACC). Activities are varied to include building cognitive & thinking skills, pretend play, and vocabulary & concept development for receptive language skills; and expressive language use through a variety of pragmatic functions (including signing, verbalizing, and/or the use of an AAC device or picture displays).